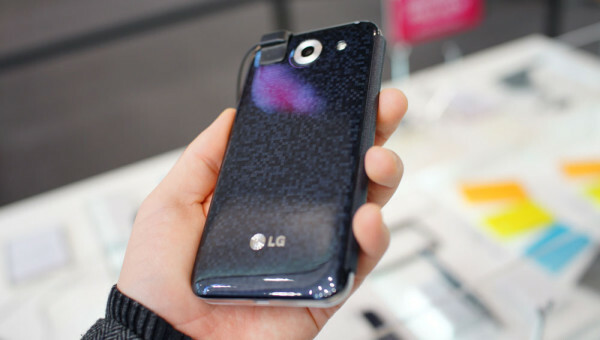 The Optimus G Pro Smartphone from LG was one of the most striking innovations of 2013, and today occupies a leading position on the Russian market among the "plantations". Despite its impressive size, this model has a good performance. The Optimus G Pro has a similar appearance with Samsung smartphones, although not without some peculiarities. Size 150x76x9.4 mm the front panel is covered with glass, and the screen has a diagonal of 5.5-inch, taking up almost the entire surface of the phone. Frame on the sides is very thin – just 3 mm. Smartphone framed on the edges by the plastic frame, reminiscent of brushed metal. The rear panel is removed and is made of plastic, with a very interesting texture all over the surface of the cover randomly scattered small squares that shimmer in the light. 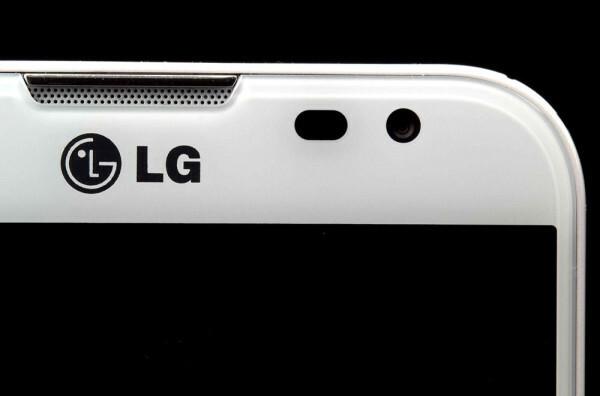 There is also the logo of the company LG, camera, proximity sensors and lighting. On the front side of the mobile phone above the screen is a speaker, it is slightly recessed into the case. Under the screen is a button "Home", and from both her sides two touch buttons: "Back" and "Menu". The Home button has a very interesting border. It glows different colors and reminds about events, missed calls and SMS. 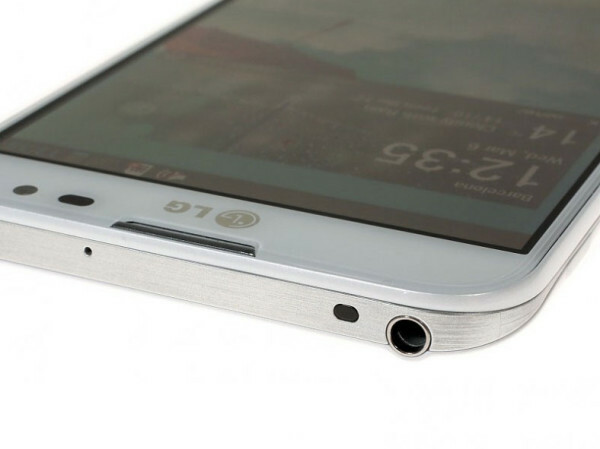 On the top there is headphone Jack and noise-canceling microphone, while the bottom connector to USB port and the usual microphone for conversations. The sides, button lock release and a rocker for volume control. The first thing I want to mention is the excellent viewing angles. The display has excellent color reproduction, and the density of pixels reaches 400. The display is 5.5-inch and the resolution is 1920x1080 pixels. 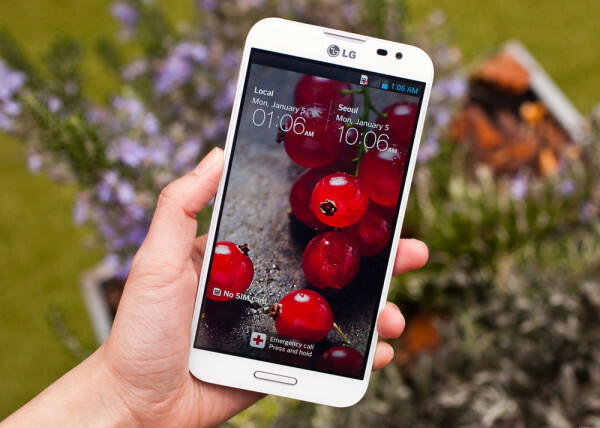 LG Optimus G Pro is equipped with not the newest, but still a good operating system of Android 4.1.2. It works smoothly and quickly, and the interface functionality is at a very high level. It should also be noted that the manufacturer of the smartphone has established a signature style over osnovnoi OS, which attaches to the device originality. All the menus and the keyboard is very easy to use, convenient and contain no abstruse phrases and obscure expressions. 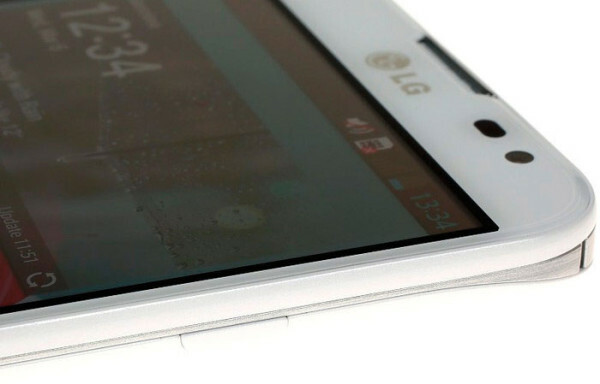 LG Optimus G Pro has a Quad core heart with a frequency of 1.7 GHz, 2 GB of RAM and 16 GB of internal memory. There is also a connector for flash cards. In General we can say that these specifications are along with other high quality and more expensive smartphones of this kind. This is enough to fast, high-quality and pleasant to the user. Technical features of the claimed camera 13 MP with flash and auto focus. The photos are decent quality in different lighting and weather conditions. The video is also very good at it, and the camera does not add any of their colors. And photos and videos are saved without delay. The Main speaker has a good volume, there is no noise and rattling, but it is not something special. The sound is the same as in other similar models. The sensitivity of the microphone is high, the quality of the recorded sound is also quite good. Though the microphone volume is not large, but the interlocutor can hear well. We Can say that this is a weak point of this "phablet". It seems to be a good battery capacity 3140 mAh, but a lot of energy the chipset and the screen, so sometimes even one day can not suffice charging. And under the power saving mode not helping much. In conclusion, we can say that this device is a great smartphone in class like. It combines performance, quality, design and even ergonomic quality. Also his price is very good users, by the way, it is possible to see and compare portal Aport.ru.